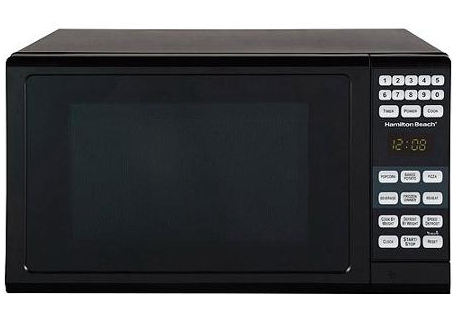 Hamilton Beach 0.7-cu ft Microwave Oven On Clearance for $44.00 + FREE Pickup! You are here: Home / Great Deals / Hamilton Beach 0.7-cu ft Microwave Oven On Clearance for $44.00 + FREE Pickup! In the market for a new microwave? Don’t miss this deal! You can currently get this Hamilton Beach 0.7-cu ft Microwave Oven On Clearance for ONLY $44.00 + FREE Pickup!